In the Bhagavad Gita, the enlightened master Krishna makes a wise statement: Gahano karmano gatihi – the universe by its very nature works, works, works. The nature of the universe is to work, create and expand. Life’s flow itself is work. Wealth is a natural result of this process. If you are working but not creating wealth, it means that all your work is happening in wrong direction! 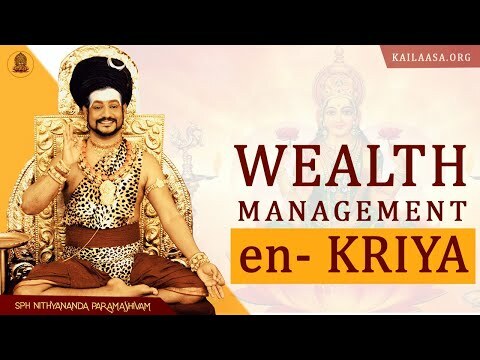 Paramahamsa Nithyananda talks on the strong engrams seekers have about money and that it is the root of all evil. It is not. It is not the money it is the expectation. 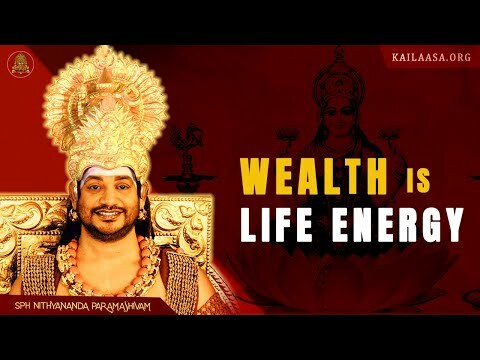 Paramahamsa Nithyananda touched on a subject that he rarely touches on: Wealth. But it was combined with a warning. 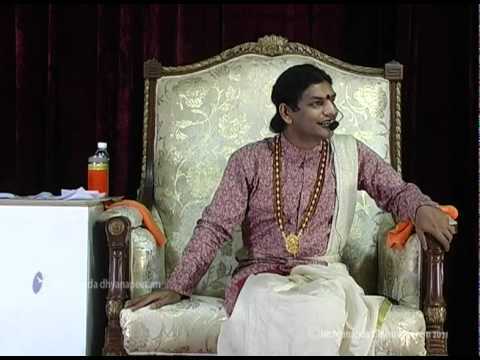 "Once more truth is expressing, when ever people want to ask me, I sincerely want them to have but at the corner of my mind there is a filtering system which just dilutes the sankalpa and lets only the good happen. It straight away helps the person asking. I don't have sankalpa, so I send the person to the consciousness, and you get the right thing, getting wrong thing is the worst punishment." This course has been designed to cover every aspect of wealth from the most practical to the deepest spiritual. This is no ordinary course. You are about to spend 2 days with possibly the most creative enlightened being on the planet! Wealth - what a strange word! The moment it is uttered, it throws up a whole volley of emotions and memories in us. If you don’t have it – the greed to attain it; if you have it – the fear of losing it; if you are somewhere in between – the worry about how to get there..! The very word creates so much pain in everybody. The moment you think of wealth, too many fantasies, too many failures and too many broken dreams, too much pain and suffering is awakened in you.